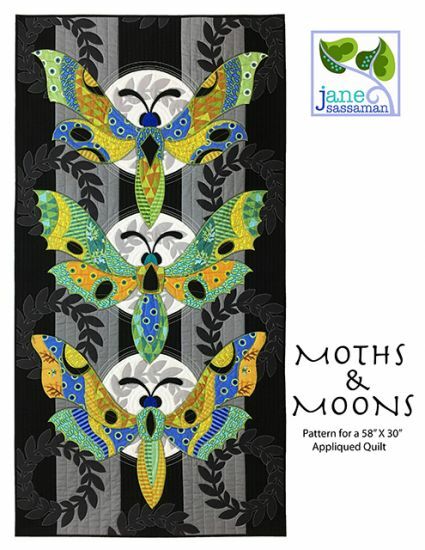 The Moths & Moons pattern give you directions for making a 58" H X 30" W quilt. It is a great way to use some of your favorite fabrics! The character of your moths change according to your choices. Mysterious or playful, it's up to you.